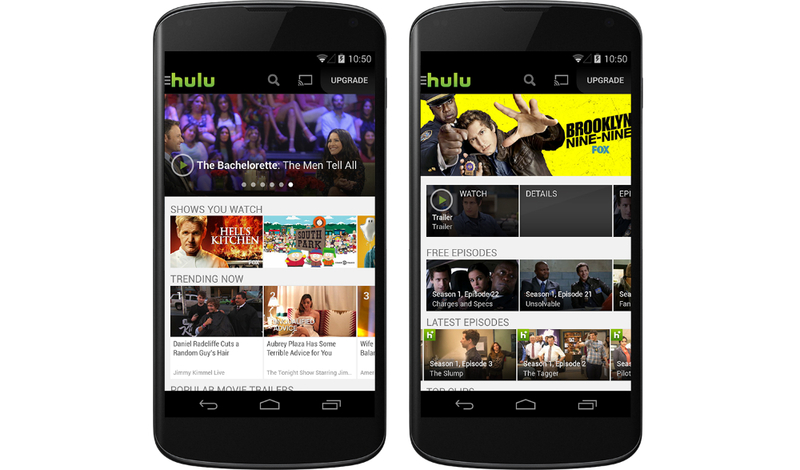 Starting today, after updating the official Hulu Plus app in Google Play, Android users are being treated to free content, courtesy of Hulu. For some odd reason, Hulu has granted Android users to sample free content, just as you would on their website from anywhere you are, as long as you have a data connection. Undoubtedly an attempt to get you signed up for their monthly service, which runs $7.99, Hulu is allowing access to the latest and past episodes of a few good shows, including America’s Got Talent, and more. Here is a excerpt from the company’s announcement. Today we are pleased to announce an update to our Hulu app for Android that gives users a taste of our comprehensive library with a selection of free content on Android phones and tablets. In addition to the latest and past episodes of popular current TV shows, users will be able to enjoy a selection of content from Hulu Originals, Anime, Kids, Movies and Latino. The content available on the updated app will mirror the ad-supported Hulu.com with a few exceptions. If you are a fan of free stuff, c’mon, we know you are, go grab the update and get to watching.